The rigging above Arch’s head looked sturdy enough now that Hoot and Walt had completed their construction. Arch tentatively reached his hands up and grabbed the exercise bar. With his brothers looking on, Arch pulled himself up a few inches off the bed. The simple motion took excruciating effort. After 18 months in a hospital bed and now in his bed at home, what could he expect? His once athletic body had deteriorated from lean and muscular to weak and crippled. But, he would not give up. He was determined to prove the doctors wrong. He would walk again! 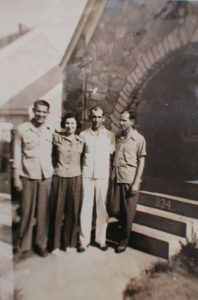 Arch, Hoot and Walt, brothers and athletes, played several sports during their high school years. Football was their best sport, though, and the one which made them local stars in Oklahoma. 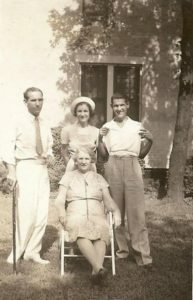 Arch, the eldest brother, went on to play on the sports teams at Chillicothe Business College (C.B.C.) 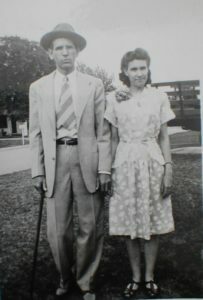 in Chillicothe, Missouri.1Oral interview with Billee Kathryn Barton Corn, 1990-2010 by Melissa Corn Finlay, Utah, notes taken, but not dated; oral information on various Corn family members known to Billee. 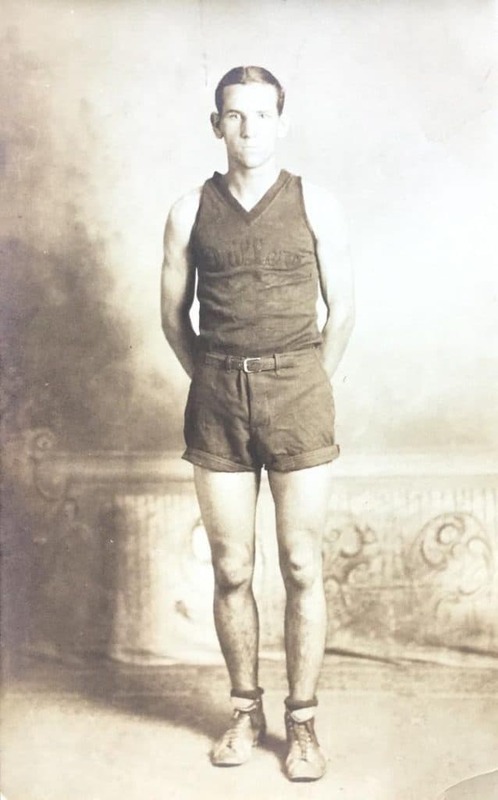 His athletic career at the college can be traced through several newspaper articles between 1931 and 1933. 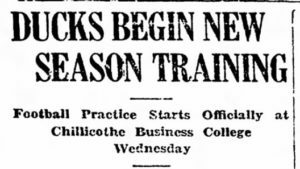 At the beginning of September 1931, Arch Corn appears on Coach Slayton’s football roster as a new half-back.2“Ducks Begin New Season Training,” The Chillicothe Constitution-Tribune (Chillicothe, Missouri). Tue, 1 Sep 1931. Page 6. Accessed at newspapers.com on 9 October 2016. In mid-November, the football squad was honored at a banquet where the players, including Arch, were given a football letter and sweater.3“A Banquet for Football Team,” The Chillicothe Constitution-Tribune (Chillicothe, Missouri). Thu, Nov 19, 1931. Page 12. Accessed at newspapers.com on 9 October 2016. In spring of 1932, Arch participated with the C.B.C. track team.4“1932 Winners of Missouri State Conference Track Meet,” The Chillicothe Constitution-Tribune (Chillicothe, Missouri). Wed, May 25, 1932. Page 6. Accessed at newspapers.com on 9 October 2016. The team won the Missouri State Conference Track Meet that season. 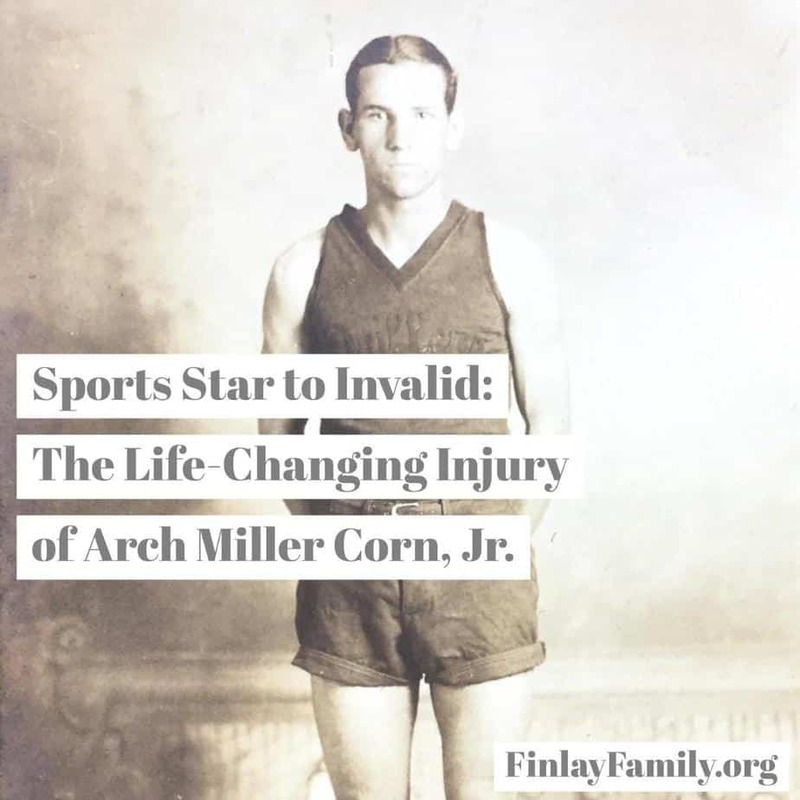 When Arch was awarded a letter for track, the newspaper article goes on to mention, “Arch Corn has lettered in three sports this year– football, basketball and track.”5“Award Medals to C.B.C. Track Men,” The Chillicothe Constitution-Tribune (Chillicothe, Missouri). Fri, May 27, 1932. Page 6. Accessed at newspapers.com on 9 October 2016. Arch returned for a second season of football, with practices beginning in September of 1932. “Coach Slayton will have a big job ahead of him this year in developing a winning team. Out of the team of last year, only five letter men are back. In the backfield there will be Arch Corn at half. Corn who is from Webb City, Oklahoma is the only three-letter man in school.”6“Coach Slayton Issues A Call,” The Chillicothe Constitution-Tribune (Chillicothe, Missouri). Tue, Sep 6, 1932. Page 4. Accessed at newspapers.com on 9 October 2016. 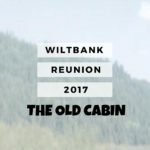 On October 15, 1932, the C.B.C. 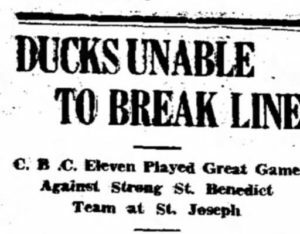 football team played the St. Benedict squad.7“Ducks Unable to Break Line,” The Chillicothe Constitution-Tribune (Chillicothe, Missouri). Sat, Oct 15, 1932. Page 4. Accessed at newspapers.com on 9 October 2016. C.B.C. struggled to penetrate the line throughout the game. Partway through this game, Arch was injured, however, the newspaper covering the game did not specifically mention the injury. It must have seemed like business as usual for a college football game. No one yet realized the seriousness of what had happened to Arch. By the next week, the newspaper stated that Arch reported to the hospital about pain the next day, Saturday, around noon,8“At Chillicothe Hospital,” The Chillicothe Constitution-Tribune (Chillicothe, Missouri). Thu, Oct 20, 1932. Page 4. Accessed at newspapers.com on 9 October 2016. as a result of his injury received during the CBC v St Benedict’s game.9“At the Hospital,” The Chillicothe Constitution-Tribune (Chillicothe, Missouri). Wed, Oct 19, 1932. Page 3. Accessed at newspapers.com on 9 October 2016. Throughout the fall, the newspapers report on Arch’s condition at the local hospital every week or ten days, alternating between “his condition remains the same” or “his condition is slowly improving.”10“At Chillicothe Hospital,” The Chillicothe Constitution-Tribune (Chillicothe, Missouri). Thu, Oct 20, 1932. Page 4. Accessed at newspapers.com on 9 October 2016.11“At the Hospital,” The Chillicothe Constitution-Tribune (Chillicothe, Missouri). Mon, Oct 31, 1932. Page 1. Accessed at newspapers.com on 9 October 2016.12“At the Hospital,” The Chillicothe Constitution-Tribune (Chillicothe, Missouri). Wed, Nov 16, 1932. Page 3. Accessed at newspapers.com on 9 October 2016. In other words, while the community and perhaps even the family remained hopeful and optimistic, recovery was at a standstill. In early January 1933, Coach Slayton awarded Arch a second football letter and sweater at the annual banquet.13“Sweaters to C.B.C. Eleven,” The Chillicothe Constitution-Tribune (Chillicothe, Missouri). Tue, Jan 3, 1933. Page 4. Accessed at newspapers.com on 9 October 2016. Arch was likely not in attendance, as news articles the following week still listed him as a patient at the hospital. 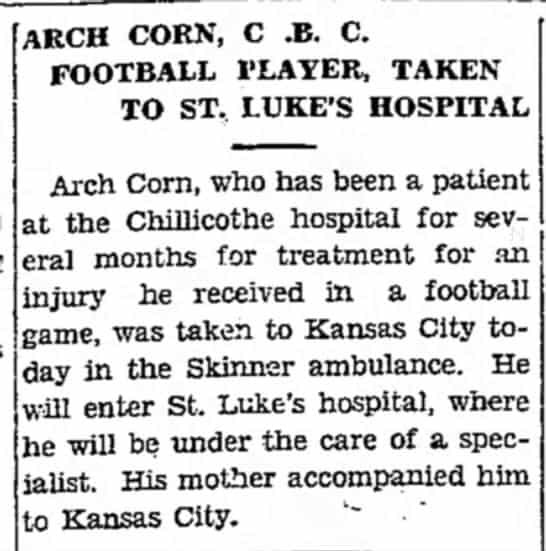 The doctors transferred Arch by ambulance to St. Luke’s Hospital in Kansas City in mid-January, accompanied by his mother, to receive treatment from a specialist.14“Arch Corn, C.B.C. Football Player, Taken to St. Luke’s Hospital,” The Chillicothe Constitution-Tribune (Chillicothe, Missouri). Wed, Jan 11, 1933. Page 7. Accessed at newspapers.com on 9 October 2016. 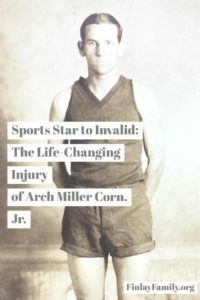 About a week after his transfer, the last newspaper article found in the Chillicothe Constitution-Tribune that had covered his sports career and injury states simply, once again, that Arch is slowly improving at the new hospital.15“Is Improving,” The Chillicothe Constitution-Tribune (Chillicothe, Missouri). Thu, Jan 19, 1933. Page 17. Accessed at newspapers.com on 9 October 2016. 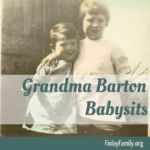 After this, his mentions in the newspaper drop off, but the family story continues.16Oral interview with Billee Kathryn Barton Corn, 1990-2010 by Melissa Corn Finlay, Utah, notes taken, but not dated; oral information on various Corn family members known to Billee. During the game, two members of the opposing team tackled Arch, one on each side. He sat down hard and hurt his pelvis, but originally neither Arch nor the medical professionals thought he hurt anything seriously. However, as the hours went on, his pain became worse until he couldn’t even walk. 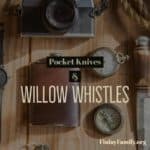 He had broken his pelvic bone and an infection started at the broken area. The doctors gave him morphine to ease the pain. But the infection raged, and Arch’s fever rose dangerously high. The doctors weren’t even sure if he would live through the infection. His pelvis fused back together in the wrong position, causing Arch to have a bent stature and inability to walk on his own. 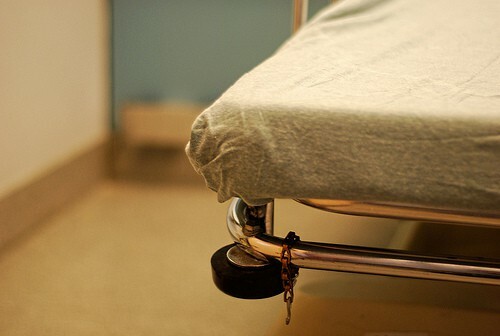 He spent 18 months all together in the hospitals. When the doctors finally sent Arch home, they sent him with little hope of every leaving his bed again. However, Arch was determined to prove the experts wrong. His brothers, Hoot and Walt, built a traction unit over Arch’s bed, rigging exercise bars above his weak body. Arch lifted himself up and exercised. Eventually he became strong enough to walk with crutches. He would use those crutches to walk three miles to the high school to watch Walter’s football practices. One day the crutches sank in mud on the way to the school. When Arch pulled them out, the suction took the cup off the end of the crutches. He was so frustrated that he threw the crutches away after that incident. 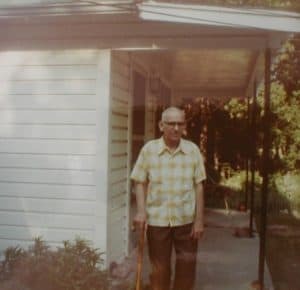 Still unable to walk on his own, he switched to a cane, which he used for the rest of his life. Through the support of his family, and his own strength and tenacity, Arch walked again despite the prospects the doctors gave him. He walked with a gait the rest of his life, but he walked. He learned how to do many things, compensating for his disability. He stepped sideways up stairs and then swung his injured leg up. 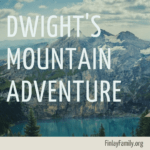 He went on to have a career, a wife, and the couple adopted two children to complete their family. See photos of Arch and his family in the photos and video below. Walter Corn, Hannah Corn, Hoot Corn, Arch Miller Corn Jr. 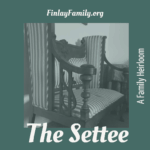 I hope you have enjoyed this family story as much as I have enjoyed Sharing it! 1, 16. 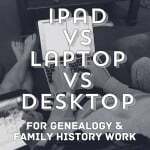 ↑ Oral interview with Billee Kathryn Barton Corn, 1990-2010 by Melissa Corn Finlay, Utah, notes taken, but not dated; oral information on various Corn family members known to Billee. 2. ↑ “Ducks Begin New Season Training,” The Chillicothe Constitution-Tribune (Chillicothe, Missouri). Tue, 1 Sep 1931. Page 6. Accessed at newspapers.com on 9 October 2016. 3. ↑ “A Banquet for Football Team,” The Chillicothe Constitution-Tribune (Chillicothe, Missouri). Thu, Nov 19, 1931. Page 12. Accessed at newspapers.com on 9 October 2016. 4. 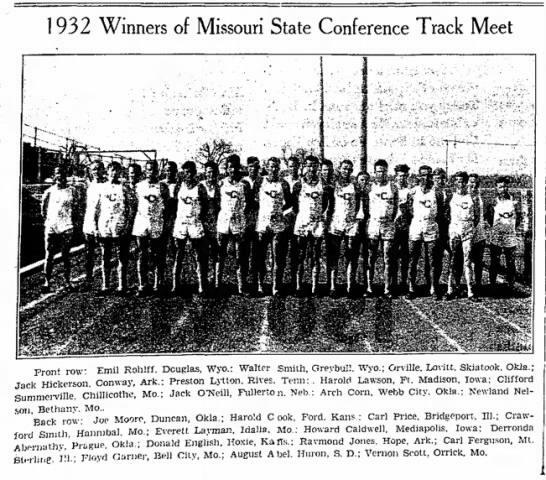 ↑ “1932 Winners of Missouri State Conference Track Meet,” The Chillicothe Constitution-Tribune (Chillicothe, Missouri). Wed, May 25, 1932. Page 6. Accessed at newspapers.com on 9 October 2016. 5. ↑ “Award Medals to C.B.C. Track Men,” The Chillicothe Constitution-Tribune (Chillicothe, Missouri). Fri, May 27, 1932. Page 6. Accessed at newspapers.com on 9 October 2016. 6. ↑ “Coach Slayton Issues A Call,” The Chillicothe Constitution-Tribune (Chillicothe, Missouri). Tue, Sep 6, 1932. Page 4. Accessed at newspapers.com on 9 October 2016. 7. ↑ “Ducks Unable to Break Line,” The Chillicothe Constitution-Tribune (Chillicothe, Missouri). Sat, Oct 15, 1932. Page 4. Accessed at newspapers.com on 9 October 2016. 8, 10. ↑ “At Chillicothe Hospital,” The Chillicothe Constitution-Tribune (Chillicothe, Missouri). Thu, Oct 20, 1932. Page 4. Accessed at newspapers.com on 9 October 2016. 9. ↑ “At the Hospital,” The Chillicothe Constitution-Tribune (Chillicothe, Missouri). Wed, Oct 19, 1932. Page 3. Accessed at newspapers.com on 9 October 2016. 11. ↑ “At the Hospital,” The Chillicothe Constitution-Tribune (Chillicothe, Missouri). Mon, Oct 31, 1932. Page 1. Accessed at newspapers.com on 9 October 2016. 12. ↑ “At the Hospital,” The Chillicothe Constitution-Tribune (Chillicothe, Missouri). Wed, Nov 16, 1932. Page 3. Accessed at newspapers.com on 9 October 2016. 13. ↑ “Sweaters to C.B.C. Eleven,” The Chillicothe Constitution-Tribune (Chillicothe, Missouri). Tue, Jan 3, 1933. Page 4. Accessed at newspapers.com on 9 October 2016. 14. ↑ “Arch Corn, C.B.C. Football Player, Taken to St. Luke’s Hospital,” The Chillicothe Constitution-Tribune (Chillicothe, Missouri). Wed, Jan 11, 1933. Page 7. Accessed at newspapers.com on 9 October 2016. 15. ↑ “Is Improving,” The Chillicothe Constitution-Tribune (Chillicothe, Missouri). Thu, Jan 19, 1933. Page 17. Accessed at newspapers.com on 9 October 2016.